Save time & money. Dazzle the judges. Enjoy Top Turnout. Win. Ruthann Smith has sent world-class horses to the ring for 30 years. In this clinic she’ll share her secrets to smart grooming. Bathing Faces So They Love It! Hands-on Braiding Workshops are an opportunity to work one-on-one with Ruthann in a small group. Learn how to comfortably create professional braids or bandage for support, shipping, and schooling. Learn Ruthann’s proven formula for perfect braids quickly and with no cramped hands. Braiding Prerequisite: View Ruthann’s Better Braiding Video twice and practice 2 hours. Auditors welcome! $50 for both days, or $30 for one day. 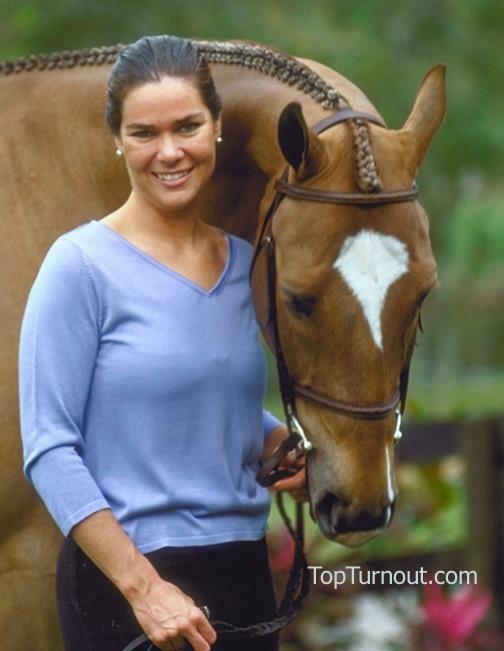 In addition, Julie is a sought-after clinician who travels the country teaching riding and horsemanship. 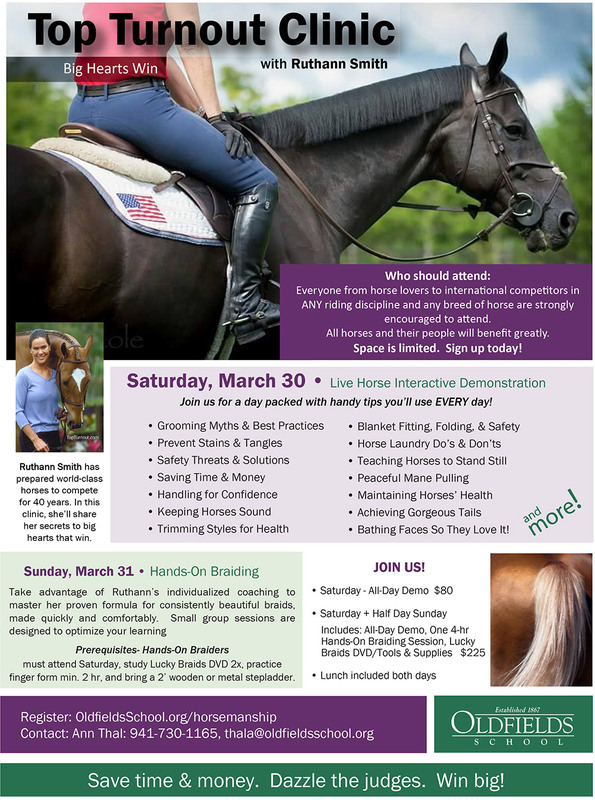 She wrote the monthly column "Conformation Clinic" for Practical Horseman magazine for more than 10 years and currently contributes to USHJA In Stride, The Chronicle of the Horse, EquestrianCoach.comand many other publications.